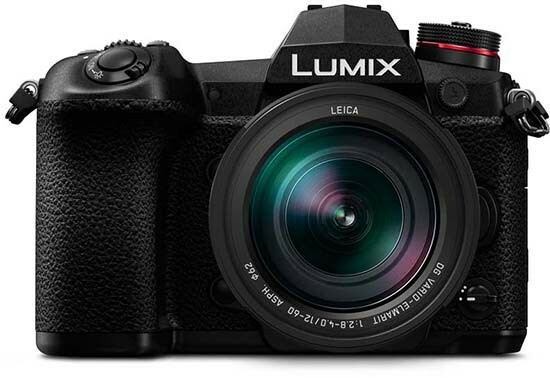 At first glance the Panasonic G9 looks much like its predecessor, the G80, and its sister camera, the GH5, sporting a similar DSLR-like design. The new G9 manages to squeeze a thumb-operated AF joystick, status LCD screen, dual SD card slots and a 920-shot battery into a similarly-sized body, while the addition of a wealth of new features make the G9 a much more serious proposition than the mid-range G80 - this is clearly meant to be a camera for the serious enthusiast and professional user. 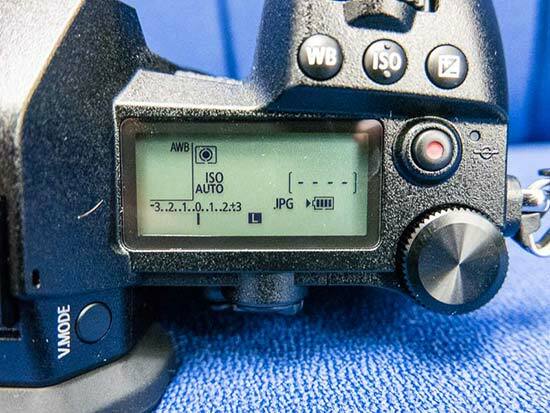 The G9 is a very fast camera indeed, offering 20fps burst shooting with Full AF/AE tracking for up to 50 JPEG / RAW images in one high-speed burst, using the completely silent electronic shutter and a UHS-II SDXC card. It can also shoot continuously at up to 60fps with AF/AE set at the first frame. 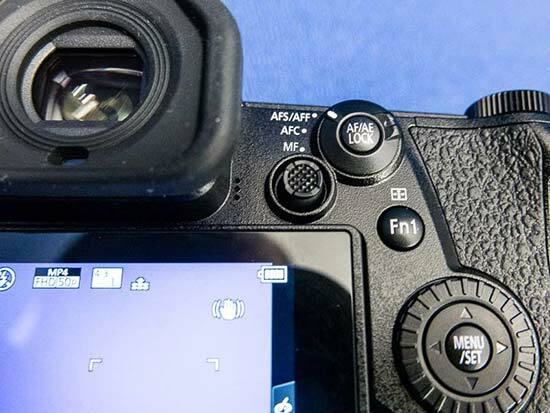 This outguns one of the G9's main rivals, the Fujifilm X-T2, which can shoot at 14fps for 42 JPEGs or 28 compressed RAW files if you similarly use a UHS-II SDXC card and the electronic shutter. The G9 features a very impressive OLED electronic viewfinder with approximately 3,680k dots, a magnification of 0.83x and a 120fps refresh rate, ensuring that there are no blackouts even during high-speed burst shooting. It also has a vari-angle 3-inch LCD screen with 1040K dots on the rear and there's a generously sized monochrome status LCD screen on top of the camera, much like you'd find on a prosumer DSLR. So there's lot of ways to view/change the camera's settings. 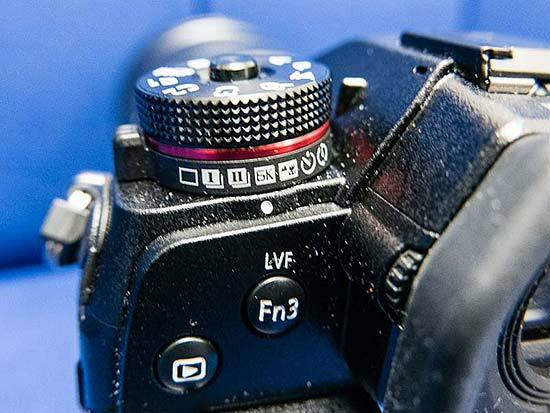 The auto-focusing system in the Panasonic G9 is the same as the GH5, with 225 contrast-detection AF points and 6 different AF modes, although it's ever so slightly faster, offering the world’s fastest AF speed of 0.04 sec (the GH5's speed is 0.05 sec). There are also 4 different Custom AF pre-sets available so that you can quickly switch between different AF methods to suit different subjects. The key differences between the new Panasonic G9 and the more video-centric GH5 camera include the 80 megapixel high-res mode, more effective dual I.S. system, slightly faster auto-focusing, faster 1/32000th shutter speed (electronic shutter), much faster burst shooting, higher magnification viewfinder, and the status LCD screen, all in favour of the G9. Check out our hands-on gallery of photos of the Panasonic G9 camera. 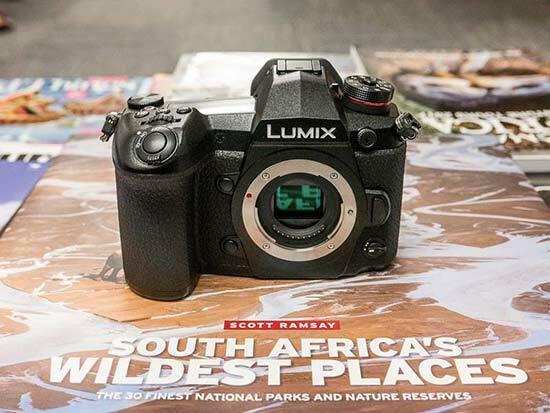 The Panasonic G9 has exactly the same 20 megapixel sensor and image processor as the GH5 camera, but thanks to some significant internal improvements it offers the "best stills image quality of any Panasonic camera to date", including the GH5- at least according to Panasonic. It does this by applying less aggressive noise reduction than the GH5 in the mid-high ISOs, which results in more fine detail and punchier colours. 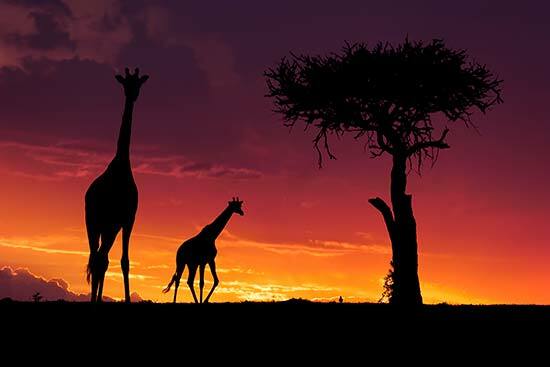 In addition, there's a special new 80 megapixel mode where the G9 takes 8 shots that are shifted by one pixel every time and then merged together into one super-resolution image. Panasonic showed us some large prints that definitely seemed to benefit greatly from using this new mode, if your subject allows it. Take a look at some official sample images taken with the Panasonic G9 camera. On the video side, it can record 4K movies at 60fps, and there's also a 180fps full HD slow-motion mode. The main difference between the G9 and the GH5 in terms of video is that the former can only record in 4:2:0 8-bit, whereas the latter can record in 4:2:2 10-bit, which may or may not be a deal-breaker for the dedicated videographers out there. 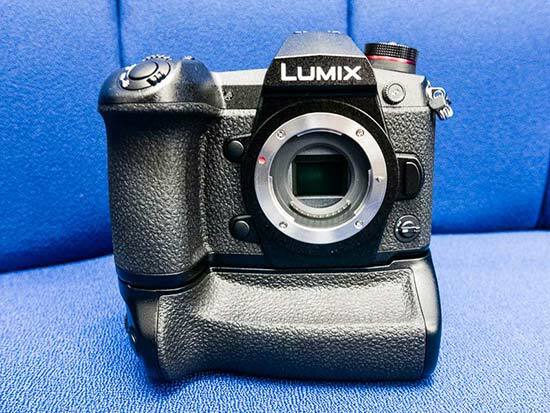 So what do you think of the new Panasonic G9? Leave a comment below..